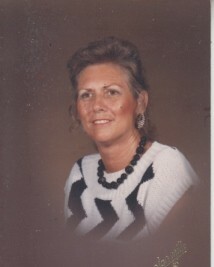 Mrs. Dorothy (Dot) Lambeth, 86, of Tuggle Hill LaGrange Georgia passed away Monday morning at her home. Mrs. Lambeth was born in LaGrange April 3, 1933 the daughter of the late Homer and Edna Mae Hale Smith. She attended Rosemont High School and was known in LaGrange as the “Drug Store Delivery Lady”. Dot’s working career spanned from Callaway Mills Company to delivery of prescription’s from Paul Cole Drug Store, By-Wise, Corley and most especially from Holmes pharmacy. Graveside funeral services for Mrs. Dot Lambeth will be held at 11:00 A.M. Wednesday morning from the graveside in Restlawn Memory Gardens. The family will receive friends at the funeral home (Tuesday) evening from 6:00 P.M. unit the 8:00 P.M.
Funeral services for Mrs. Dorothy (Dot) Lambeth are by Hunter-Allen-Myhand Funeral Home.